Tax season is almost upon us, but you still have time to take advantage of Arizona’s charitable tax credit program! If you file Arizona state taxes, you can make donations to qualifying organizations in five different categories and get your gift back, dollar-for-dollar, on your return! You can take advantage of this tax credit while improving the lives of so many in our own communities! Making a gift to an organization in the following categories is easy and it keeps your money right here in Arizona! A qualified foster care charitable organization. A private school tuition organization. The military family relief fund. Your donations to public schools and the military family relief fund must be made by December 31st, 2018 in order to receive the credit for the 2018 year, but thanks to recent changes in legislation, you have until April 15th, 2019 to make a qualifying donation to a foster care organization, private school, and qualified charitable organizations! When you file your Arizona taxes, you will get ALL of the above money back. You do not need to itemize your taxes to take these credits, but if you do itemize your federal taxes, then you will increase your return because you can also claim these as federal deductions. Yes! If you itemize your federal income taxes, then these AZ tax credits actually MAKE you money. If you don’t itemize, then you still break even while funding organizations that are doing great things for our community. You may donate up to $400 if filing singularly, and $800 if married filing jointly, and donating to a charitable tax credit organization is easy. FSL is a qualifying charitable organization that keeps donations right here in Arizona and uses them to improve the lives of adults of all ages! You can make a donation online here. If you would like to find a different organization to give to, then use this state-approved list. You may gift up to $500 if filing singularly and $1,000 if married filing jointly in this category. 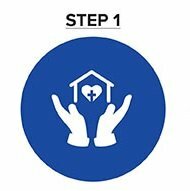 Donating to a qualifying foster care organization is just as easy. You can find a full list of qualifying organizations here. Gift limits to public schools are $200 if filing singularly and $400 if married filing jointly. Donating to a public school is as simple as making a phone call to a public school of your choice. Most public school websites accept donations online, and donations can be dropped off in person or mailed in. Often, you have the option of directing your tax credit donation to a specific program or class! Here is a link to the Arizona Department of Education website, where you can easily search for a school. Private school organizations have a slightly higher gift limit, $1,089 if filing singularly and $2,177 if married filing jointly. You can find a full list of qualifying private school funds here. The maximum qualifying gift in this category is $200 if filing singularly and $400 if married filing jointly. This tax credit is slightly more complicated and is very limited. The tax credits are only available to the first $1,000,000 in total donations, so you need to act early in the year to guarantee receipt of the tax credit. You can learn more about the Military Family Relief Fund here. Please consider making a tax credit gift to deserving organizations in any of the five categories this year. Taking advantage of this amazing program allows you to tell the state of Arizona what you would like done with the money you pay in all year, and donations support individuals and families in our own backyard. *Please consult your tax advisor for more information. I Want to Support FSL Today! PreviousArizona Charitable Tax Credit and YOU!